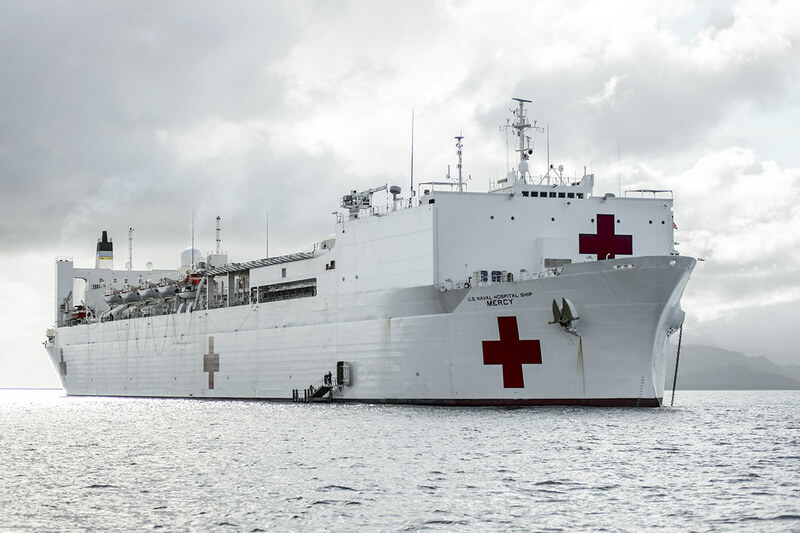 SAN DIEGO - The hospital ship USNS Mercy (T-AH 19) and embarked "Blackjacks" of Helicopter Sea Combat Squadron (HSC) 21 are scheduled to depart May 11 for a four-and-a-half-month deployment in support of the Navy's Pacific Partnership 2016. The eleventh iteration of the U.S. Pacific Fleet's annual Pacific Partnership mission will take place in the Southeast Asia over a four and a half-month period beginning in mid-May. Host nations will include Timor Leste, Republic of the Philippines, Vietnam, Malaysia, Republic of Palau and Indonesia. Working at the invitation of each host nation, U.S. Navy forces will be joined by non-governmental organizations (NGOs) and regional partners that include Australia, New Zealand, Japan, Canada, and the United Kingdom to improve maritime security, conduct humanitarian assistance, and strengthen disaster response preparedness. Born out of the devastation wrought by the 2004 tsunami that swept through parts of Southeast Asia, Pacific Partnership began as a military-led humanitarian response to one of the world's most catastrophic natural disasters. Building on the success and goodwill of this operation, the hospital ship USNS Mercy returned to the region in 2006 for the inaugural Pacific Partnership mission. The mission staff expanded to include partner nation militaries and NGOs working to increase the disaster relief capabilities of Bangladesh, Indonesia, the Philippines and East Timor. Since then, Pacific Partnership has grown in scope and size. U.S. Navy Capt. Tom Williams, commander of the San Diego, California-based Destroyer Squadron 23, will lead this year's mission from Mercy. Partner nation militaries and government agencies, NGOs and host nation planning efforts have focused on collaborative efforts with professionals in the fields of medicine, dentistry, veterinary, public health services, engineering and disaster response.